On the 12th Step. 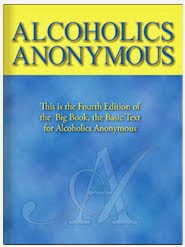 . .
"Having had a spiritual awakening as the result of those steps we tried to carry this message to alcoholics, and to practice these principles in all of our affairs." The 12th Step is the climax of the other 11. Without the 12th Step, the conception formulated in the other 11 would be like faith without works and the body without the spirit. Here is the plan put into action, and it is a two-way action. Through the 12th Step, one receives as he gives. He gives to another what he has learned and in so doing receives new strength for himself. And it is through this two-way action that A.A. grows not only larger but stronger, for it is through the 12th Step that new members are made and old members extend the length and the quality of their sobriety. When the 12th Step operates as it is intended to it precludes the development of the stultifying results of the ordinary debtor-creditor relationship. Although the A.A. engaged on a 12th Step mission may appear to be the donor--donor of a priceless gift which has helped thousands of others--and though the distraught recipient may feel grateful either then or subsequently, there is a powerfully restraining factor in the transaction. The A.A. cannot feel smugly virtuous as bearer of this gift when he knows that by giving it he keeps it and that 12th Step work is the way he helps to preserve his own sobriety. He is not likely to get a fatally righteous and inflated estimation of himself when he remembers that in 12th Step work one receives at least as much and usually much more than he gives. He cannot well fancy himself becoming a saint when he remembers that through 12th Step work he helps to keep himself from becoming a drunk again. Even for the newcomer who discovers A.A. by way of some member applying the 12th Step in his behalf, there is an equalizer. He may always feel grateful, but as he learns more about A.A. he realizes the necessity of the 12th Step work to the do-er as well as the receiver and thus is relieved of any sense of imposed obligation. And he in turn can embark on 12th Step work knowing that he is doing it for himself more even than for others and certainly without the duress of paying off a debt. By virtue of these factors, 12th Step work is both inspirational and practical, often the spark that rekindles the fires of shining hope, and at the same time a completely realistic approach to a very tough problem. Few situations arise anywhere that offer a greater challenge to one's ingenuity, resourcefulness, perseverance and the best of his brains than those which arise commonly in 12th Step work. Nor, it should be added, are there many things which man does that require more hard work than is so often needed in the completion of a 12th Step task. In 12th Step work, one is dealing with the most exasperating, stubborn, conniving, prevaricating, baffling, unpredictable, twisted and messed-up human being at large --the drunk. Successful 12th Step work calls for practically all of the virtues and talents given man, and often, even if any A.A. had all of the virtues and all of the talents, they would not be enough. Yet, 12th Step work also offers more drama, more comedy, suspense, thrills and excitement than one will ever find on any movie screen. And it is real. It is life in the raw. It takes care of any idle time that may have been dragging heavily. And it has given to many an A.A. experiences that yield the greatest happiness of a lifetime. 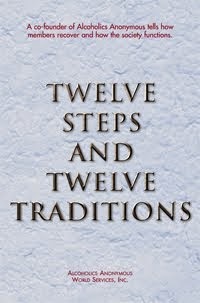 Finally, of course, 12th Step work is certainly one of the surest, if not the surest, way of keeping sober. The reason it is so effective is that it almost compels one engaging in it to keep thinking in the direction that preserves sobriety. It is, at the same time, a reminder of what has been and a warning of what could be again. But, more even than its value as both a reminder and a warning, 12th Step work is the practice of the basic principle of a way of life. The principle has been voiced in many different phrases --as "Do unto others. . ." and "My brother's keeper," or "Brotherhood of man," and simply, "Helping others." So, likewise, is 12th Step work helping others, keeping the brother, doing unto others as we have been done unto. And doing it without expectancy of repayment or bouquets.